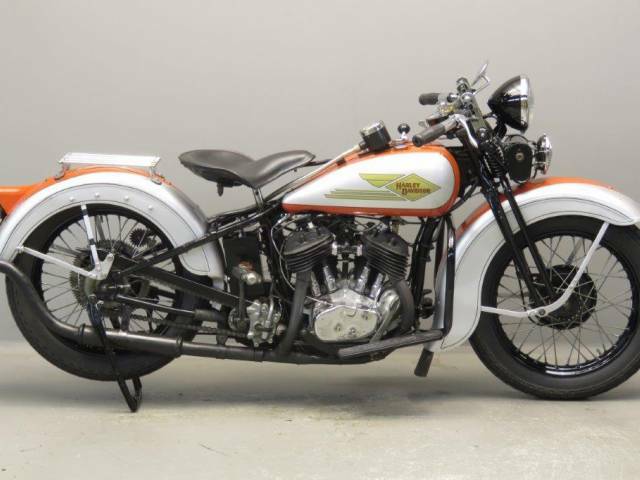 For the 1932 model year a redesigned 750 was marketed as the Model R.
It differed in many respects from the previous model. To name a few: new cylinders, flywheels and conrods, crankcases, cam gears and oil pump, plus many more detail changes in the engine and cycle parts. Unfortunately sales were very slow in 1932 due to the worldwide economic depression. No more than about 1,300 model R bikes were sold that year. In 1934 the economical situation had improved slightly, witnessed by the 2035 R series machines that were sold that year. The R was available in a number of versions, the “RL’ referring to the medium compression models. The RL had a 5:1 compression with a power output of 18.5 HP @ 4,000 rpm. Cosmetic changes for 1934 included an Airflow tail lamp, new tank graphics with flying diamond design and (this year only) upswept Hi-Flo tailpipe. Technical novelties were improved low-expansion pistons, a new oil pump and a strengthened clutch. 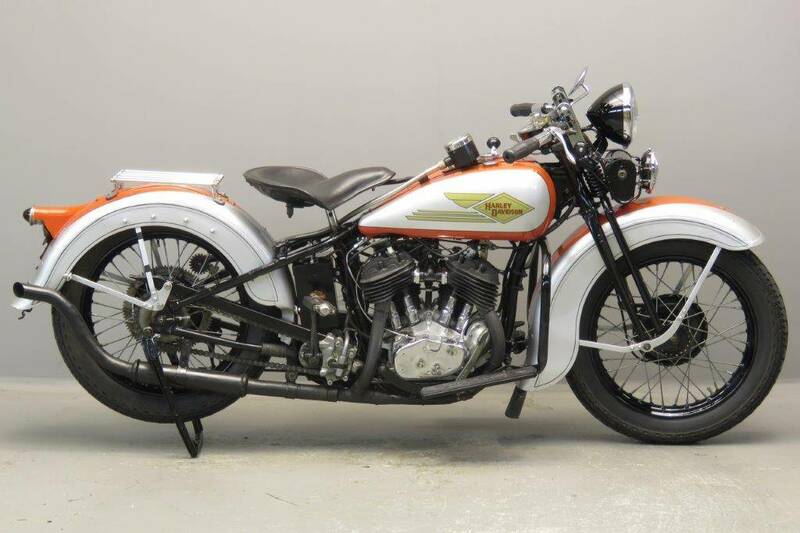 This fine restoration is presented in a very tasteful colour combination and comes complete with Corbin speedometer.